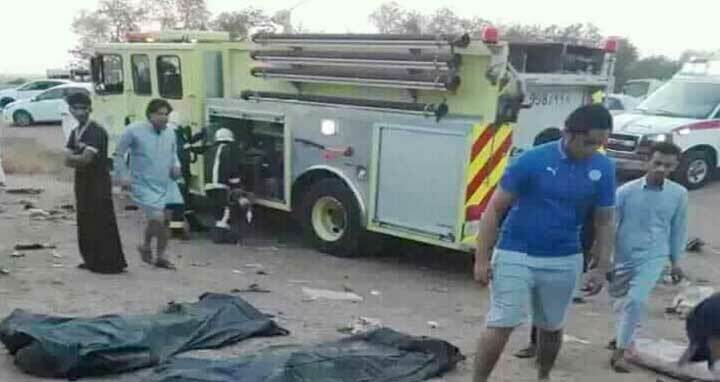 Dhaka, 7 Jan, Abnews: At least nine people including seven Bangladeshis were killed in a road accident in Jizan city of Saudi Arabia on Saturday morning. Among them, seven Bangladeshis were identified. They are Alamgir Hossain and Mohammad Moin of Narsingdi, Dulal of Sirajganj, Saidur Rahman of Tangail, Matiur Rahman of Narayanganj, Jasim of Kishoreganj district and Amir Hossain. All of the deceased were workers of Soliman Al Fahad company in Saudi Arabia. Labour councillor of Bangladesh Consulate in Jeddah, Aminul Islam confirmed this. He also said that they are maintaining communications with the Saudi authorities following the incident. Details will be disclosed later on Sunday, he added.